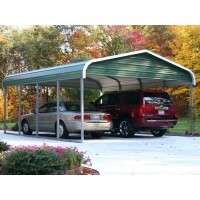 What One Car Garage Roof Styles Are Available? 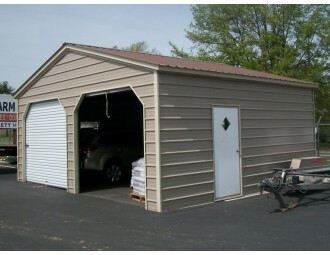 What Options are Available for Single Car Garages? Length - Units can be built as long as you need. Standard lengths are 21' Long, 26' Long, 31' Long, 36' Long, 41' long and increase in 5' increments. 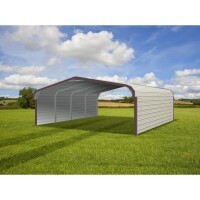 tall as you need but the side height cannot exceed the width of the unit. 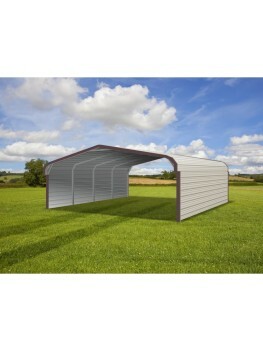 Side Height - In most areas, we offer side heights up to 14' tall. 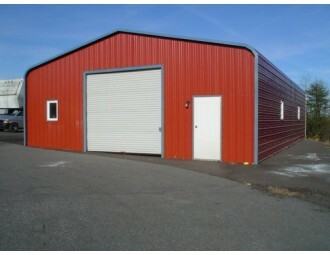 Certification - Depending on your state or local code requirements, some units can be purchased as non-certified. 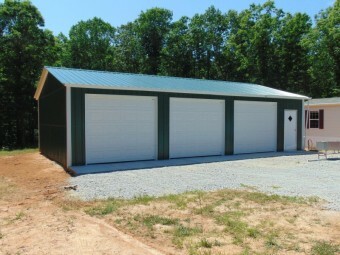 For those areas that require building permits, certified is the only option. 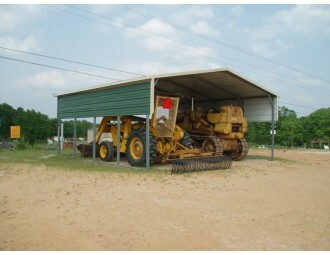 Certification means that the unit is built to withstand the wind and snow load requirements specified by your state/local building codes. 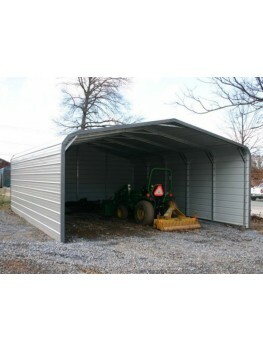 Side Walls - You have the option of leaving the side wall(s) open, adding 18" wide panel, 36" wide panel, 72" wide panel, or closing the side wall to the ground. End Walls - You have the open of leaving the ends open, placing a gable in the end wall, placing an extended gable in the end wall, or closing the end wall to the ground. 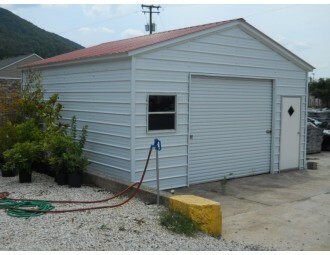 How are 1-Car Garages Utilized? 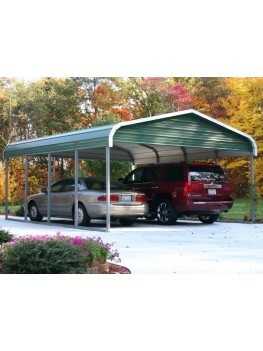 Our 1-car metal garages products have a variety of practical uses. 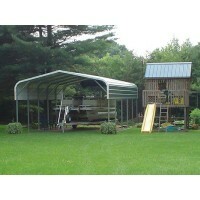 Customers utilize them for enclosed single vehicle storage, boat storage, travel trailer storage, and more. 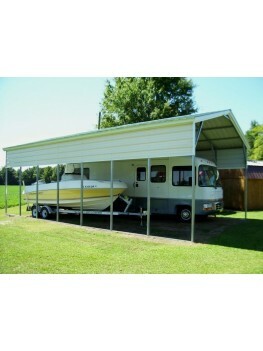 We recommend a unit at least as wide as 12' for most all vehicles and even wider for enclosed motorhome garages because it can be difficult to navigate larger RVs into these narrow units, not to mention that many larger RVs have slide-outs on them and many owners prefer to open up those slide-outs when in prolonged storage. 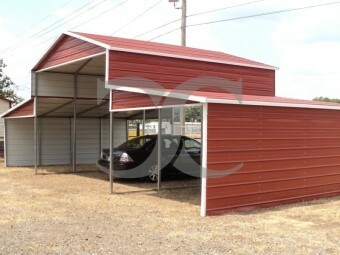 Other uses for these single-car garages of 1-car garages, such as outdoor workshops, secure storage for motorcycles, ATVs, and lawn equipment. 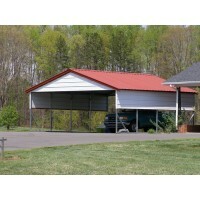 They are more most often used for one-car garages for those homeowners that have a limited amount of space. 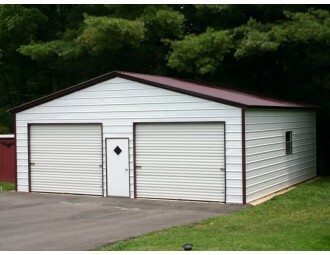 How Do I Get a One Car Garage? 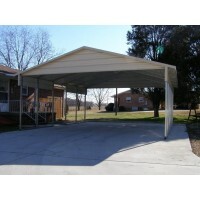 Our process for ordering single carports is simple and straightforward. Whether you are making your purchase in the online store or working with one of our experienced Building Specialists, the process is the same. 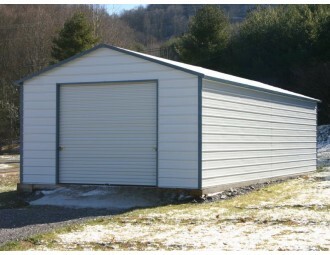 Once you have selected the enclosed metal garage that fits your needs, a small down payment is required to get your order started. 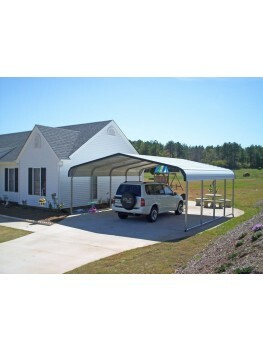 For orders less than $1500.00, a down payment of 12% is required. 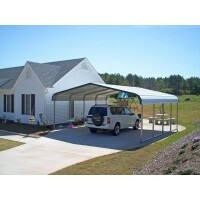 For orders between $1500.00 and $3999.00, a down payment of 12% is required. For orders over $4000.00, a down payment of 15% is required. 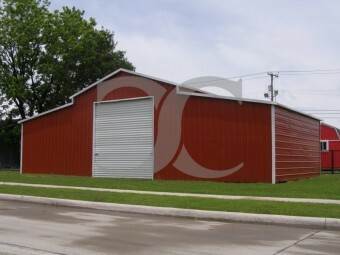 For very large and highly customized structures, a larger down payment may be required. In order to expedite your order, we accept VISA, MasterCard, Discover, American Express, and PayPal. We can accept Personal Checks and Money Orders but expect those payment types to delay your order 5-10 days for the mail and for them to clear the bank. For businesses and government entities, we can accept purchase orders upon credit approval. NOTICE! Due to new steel tariffs under section 232. All displayed prices on the website have increased. Call us for current prices as the prices displayed are being updated!